New York University Press, 9780814735749, 361pp. Chicana voices are missing from the psychology of women. Though "Chicana feminisms" have only recently been enumerated, a feminist perspective has long existed in Chicano communities without ever having been explicitly named. Grounded in specific aspects of Chicano culture such as the contested role of La Malinche and the complexities of Marianismo, the distinguishing feature of Chicana feminisms has been their embrace of diversity. Chicanas readily acribe to many feminisms and do not expect there to be only one. 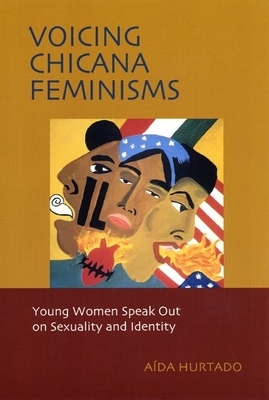 Focusing on young women between the ages of 20 and 30, Chicanas Speak Feminisms explores the relationship between Chicana feminism and the lived experiences of Chicanas. What do they see as their day-to-day manifestation of feminist consciousness? What is the relationship between what Chicana feminists propose and their lived experiences as women and as members of other significant social groups? Including rich ethnographic testimony based on questionnaires, in-depth interviews, and shadowing, Hurtado allows the women to speak in their own terms about how they see their femininity, sexuality, gender identity, ethnic/racial identity, and ties to other feminisms and political struggles. Aida Hurtado is Professor of Psychology at the University of California, Santa Cruz. She is the author of "The Color of Privilege: Three Blasphemies on Race and Feminism."